In any language, there are adjectives and nouns that are tightly connected to each other, for example, a sworn enemy. Other epithets and language will not turn to call this or that material object. Ask, say, describe in one word a watch – you will be told that they are male and female, metal and electronic, sand and wall. But, most likely, no one would ever think of calling a watch soft – it hurts such an epithet does not fit and cuts the rumor. Meanwhile, in the early works of the great Catalan Salvador Dali, the theme of soft and even liquid watches varies many times. The reason for this was camembert – the favorite soft cheese of the artist, which he preferred for dinner. It was the cheese that brought the master to the idea that matter can be soft, fluid and supple. Next is the technique: take the brush, stand behind the canvas and creatively embody the idea, which Dali realized. 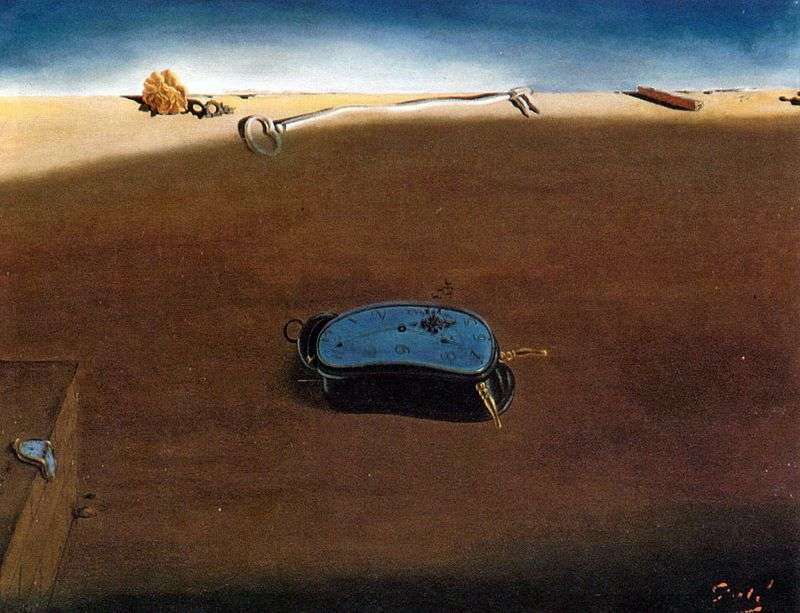 Description and meaning of the painting Soft watches by Salvador Dali.